The Angular Timer peripheral allows the software designer to interpret repeating signals as an angle measurement vs a time measurement. 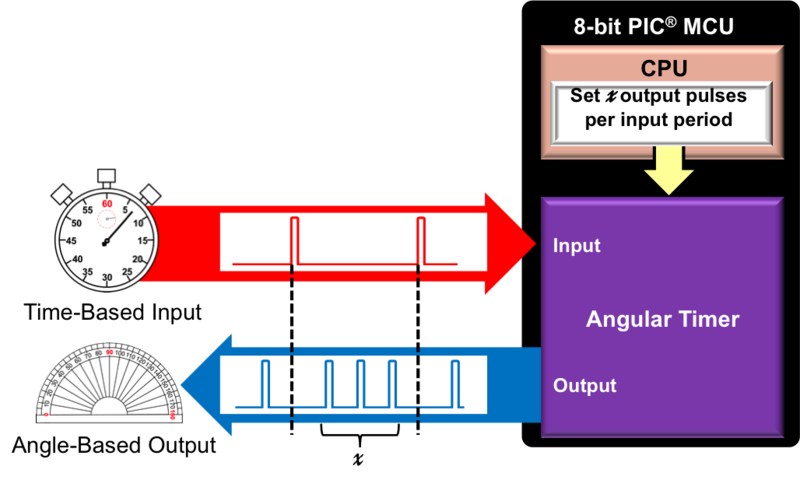 A repeating signal is converted into a 360-degree-angular representation from which all measurements are based. For example, a motor that is rotating can have a sensor at a single location to indicate a home position. That sensor will produce a pulse that is repeating. 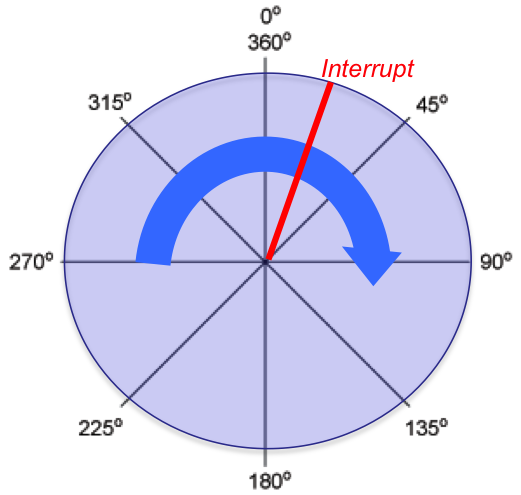 In this case it is easy to apply 360 degrees to this signal as the time it takes to repeat the signal and can easily be divided into 360 pieces with each 1 degree of rotation matched to a time element. The Angular Timer handles all that calculation automatically and will adjust automatically if the time between the sensor home pulses changes due to the motor speed changing. The Angular Timer also has capture and compare features that can be enabled to trigger interrupts at defined rotations. The period clock - outputs the controlling input signal. 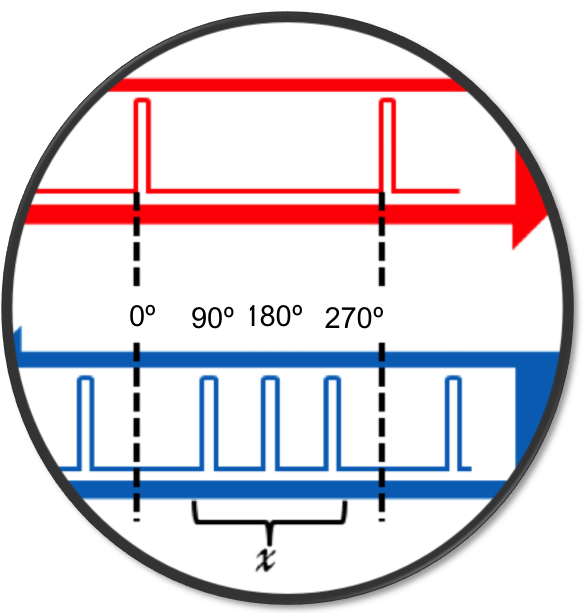 The phase clock - outputs any pulses in-between the input clock pulse at defined phase angles. The missing pulse detector - creates a pulse when a missing pulse is detected.